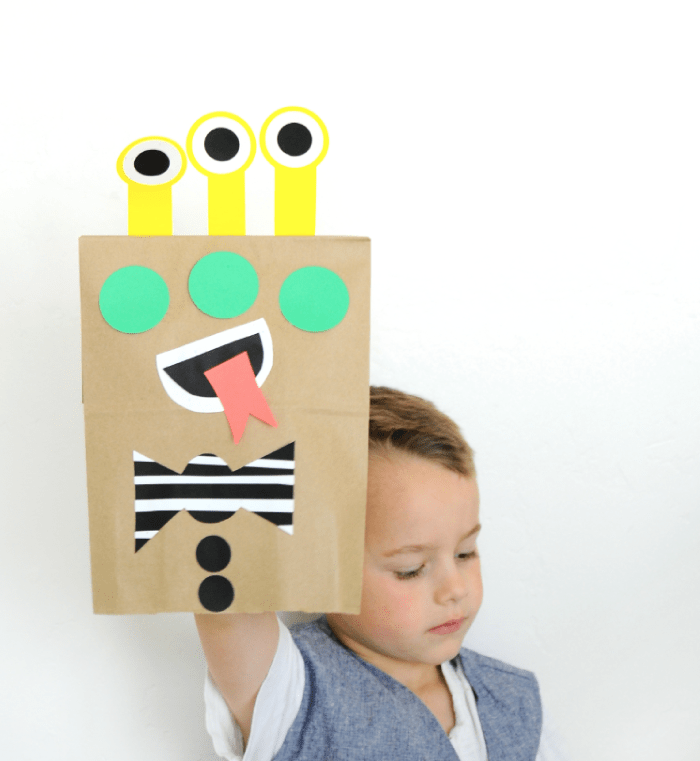 Our Paper Bag Puppets have been such a hit with the boys and their friends, we had to add to the collection, so today we’re sharing these awesome Monster Puppets! 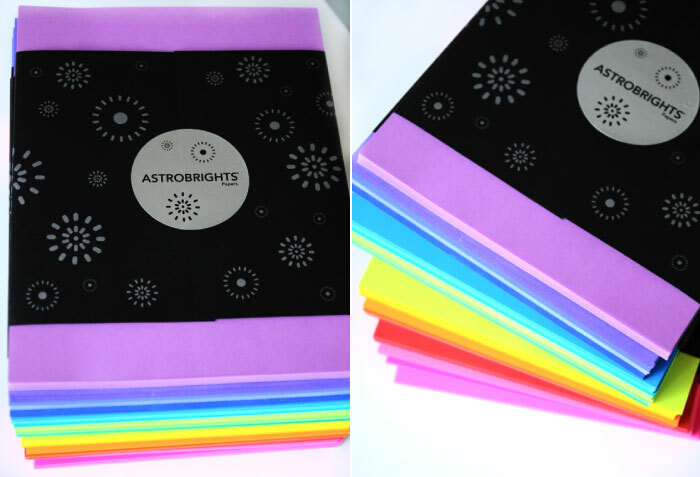 We put these together with Astrobrights awesome line of paper and they’re giving away stacks of their vibrant paper in 26 different colors. Basically you’ll never have to buy paper again, amazing! 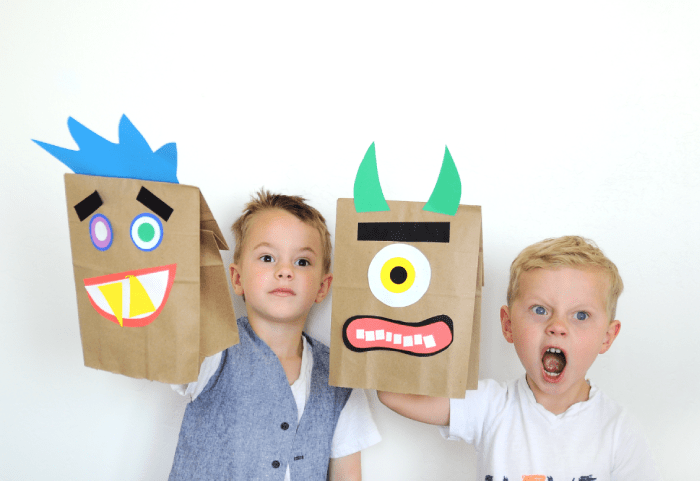 Last time we used standard brown lunch sacks which are great, but couldn’t really stand up to our boys’ vigorous play, so for these we upgraded to a small brown paper gift bag! It is made out of really thick craft paper and has yet to rip or tear. It’s definitely a worthy upgrade. So you awesome crafty friends, let’s get you the chance to win your own giant collection for your own stash. Stacks of paper this size are usually at least $5 so you’ll be getting $130+ worth of paper! Just to make it extra interesting Astrobrights is throwing in another $50 gift card to Office Depot which has the most extensive Astrobrights selection. Ready to Colorize your world? Enter below, and good luck!! Clothing for today’s post provided by Good Boy Friday! I love the Terrestrial Teal! Favorite color is blue. Thank you!! Any, and all, shades of blue! seeing all that paper makes me SO HAPPY. Love to craft with all my kiddos! oops my favs are the purple and pink! Oh my I love them all! I love all of them but the bright green and teal are my favorite!! I love all shades of pink! My favorite color is orange! For Afton Eagles! I love astrobrights paper! It is the ONLY kind of high quality paper I use:) My favorite is the bright yellow! Green! My favorite color is green! I love the color green! My favorite color is hot pink…so different from when I was younger and it was navy.